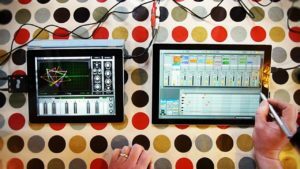 Cotracks is a collaborative music studio for teamwork on a single iPad. With Cotracks you can create multiple layers of loops and phrases using multiple instruments. Cotracks is designed to maintain your creative flow and is always ready to capture your ideas, regardless whether you are flying solo or collaborating with others. Collaboration is where Cotracks really stands out. Everyone in your session has the ability to play and record at will without disrupting or being disrupted by the workflow of others. 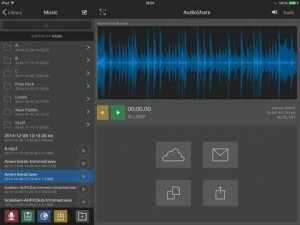 This lets you lay down the foundation of a tune within minutes and makes Cotracks the perfect and inspiring tool for brainstorming new ideas within a group. 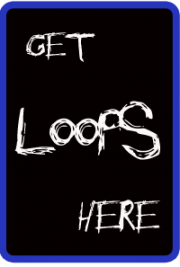 The loops you create may be exported as separate audio clips or as a mixdown audio clip which you may then import and use in any audio software supporting the common wave audio format. 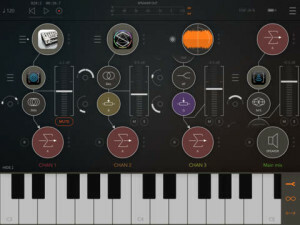 You can start off creating music in a single user mode. Later when your friend decides to join in, you switch to a two user mode. The interface layout will adjust enabling convenient access to the application from both sides of the table. Whenever another friend happens to join you, the layout will adjust again enabling access from all four sides of the device, letting you team up with up to three friends for a super creative music session. Whenever one or more members leave the session, it is as easy as a single tap to switch back to the smaller team or to the single user mode, letting the remaining members continue from where the others left off. 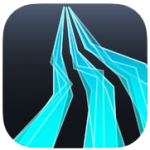 Cotracks offers lots of fun at the same time for both novice and advanced musicians with the help of scale based keyboard, flexible quantize, sequence sharing and editing capabilities. 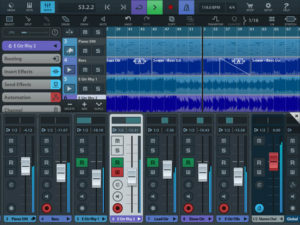 For example, a novice musician may grab a copy of a complicated sequence played by a more experienced friend and edit the instrument, sound and effects, record modulation controllers over the sequence and tweak the various playback parameters including key and scale. Essentially creating something new and exiting without necessarily playing a single note. Cotracks is all about giving everybody the means to contribute, which takes the concept of music collaboration to a new level.